*Blackwoood (Engineered Rosewood) Fretboard supplied for International orders. This kit is ideal for your first kit, as most of the soldering is already done for you. Plus, check out our Video Guides for detailed instructions for this kit. 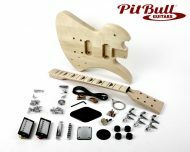 Seeing as this was the first guitar that I have ever built, I thought that I would start off with the cheapest and the easiest kit. For $99 this kit represents fantastic value. 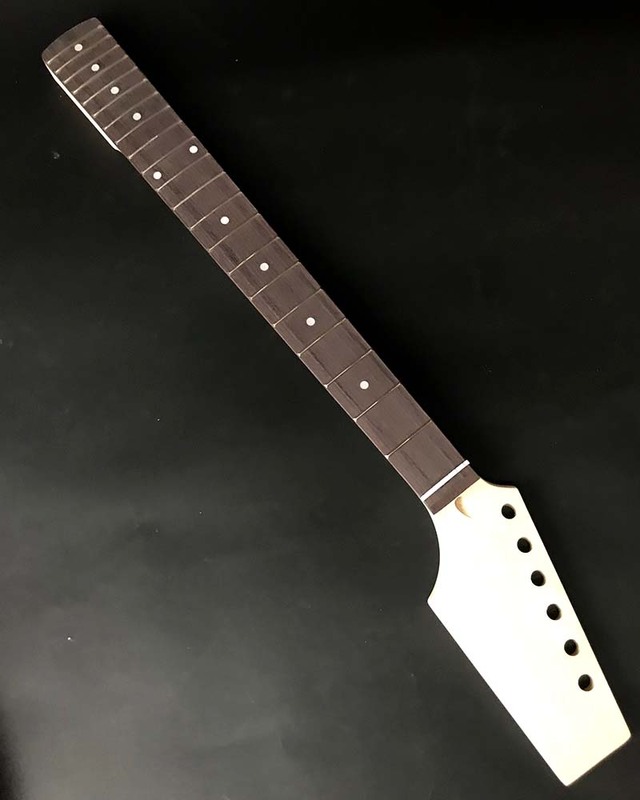 The kit needed sanding and final finishing of the body and neck and although finally assembly was a bit tricky for a novice like me, with a little patience and only basic skills and tools anybody can build this guitar. I did. With the help of a very active and helpful Forum I even learnt how to set up the guitar properly. My finished guitar has been assembled using only stock supplied parts and I could not be happier with it. The satisfaction of playing a guitar that you built yourself is worth the $99 alone. Ok, so i paid full price on this one before it became the serial special at $99! I build this pretty much stock with the exception that I wanted to put some ToneRider strat pickups in this one. I used Wudtone, Dairy Blonde and it came up so well. My wife has complained about the number of guitars in our lounge at present and she keeps asking me to reduce the numbers by selling some. However, she has forbidden me to get rid of this one! An awesome guitar for under $100! A great first build for anyone wishing to sample the delights of building their own instrument. With the simplest wiring of all the kits, a bolt-on neck and simple hardware mounting, anyone can create the strat of their dreams with an ST-1. I built mine using all stock hardware and I couldn’t be happier with the look or the sound. If you are looking for a first kit, or something to build for someone else, look no further than the ST-1. Simple wiring, easy to construct, you will end up with one awesome sounding Strat. So awesome that this is now my mail guitar I play! 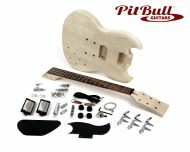 This was my first Pit Bull guitar kit and am very happy with how the build turned out. The ST-1 is ideal for newcomers in that very little soldering is required. The kit was and standard supplied components are of good quality. Take your time, plan each stage of the build and you will end up with a very playable, authentic sounding Strat style guitar. Highly recommended.